An olive oil and grapefruit liver cleanse is a homeopathic remedy used to cleanse the gallbladder of gallstones. Known alternatively as a gallbladder cleanse, gallbladder flush or liver flush, the treatment is supposed to break up and clear out gallstones from your system. There is no scientific proof, however, that this remedy works. Talk to your doctor before you try any type of cleanse. The olive oil and grapefruit liver cleanse involves drinking grapefruit juice and olive oil. The olive oil and grapefruit juice concoction is supposed to work to break up gallstones that are blocking your gallbladder. These disintegrated gallstones are then supposed to be released in your stool. According to Dr. Michael F. Picco, a gastroenterologist at the Mayo Clinic, olive oil has laxative properties, but no sound proof exists that olive oil and grapefruit juice provide the effect to rid your body of gallstones. Performing an olive oil and grapefruit liver cleanse may cause unwanted side effects, including nausea, diarrhea and vomiting, as well as abdominal pain. Some gallbladder cleanses add herbs to the olive oil and grapefruit mixture. These herbs may cause side effects of their own. Before you try this or any other homemade cleanse, research the possible effects of all ingredients they contain and consult with a medical professional. A substance in grapefruit -- D-limonene -- may help dissolve gallstones, according to an article published in the "Alternative Medicine Review" in September 2007. According to the article's author, J. Sun, the D-limonene found in grapefruit oil has properties that work to dissolve cholesterol. Sun says that since gallstones contain cholesterol, the D-limonene in grapefruit oil may be able to break down and help dissolve gallstones. More research is needed to determine whether Sun's theory holds up to clinical evidence. If you're taking birth control pills, do not attempt an olive oil and grapefruit liver cleanse. 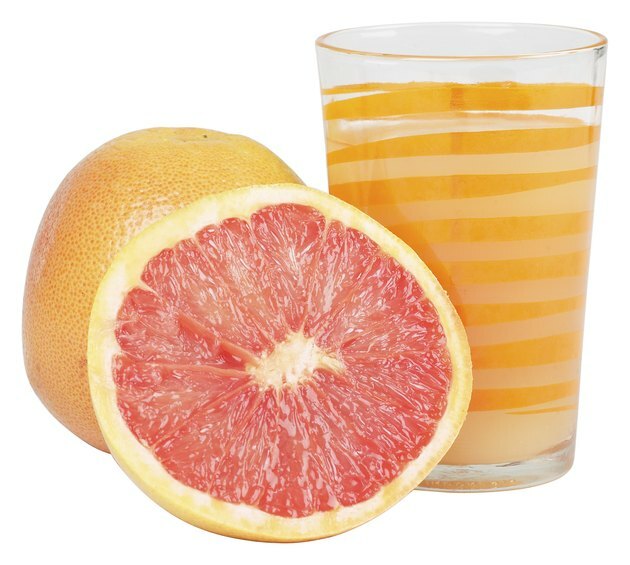 Combining grapefruit with birth control pills puts you at increased risk for developing gallbladder disease, including gallstones and inflammation of your gallbladder. Combining grapefruit with birth control pills also increases your risk of developing blood clots and liver tumors and suffering a stroke or heart attack. Grapefruit can increase your risk of side effects with other drugs, including calcium channel blockers, statins, antidepressants and anti-anxiety drugs, so consult your doctor before combining grapefruit with any medications.